Communion is a means of Grace. I believe that Communion is a powerful act. I believe that God is present in the bread and the cup. In that holy moment of eating and drinking, one can feel the presence of God. This is at the foundation of my Communion theology, and everything follows from this precept. God meets people in Communion, so why would I do anything to get in the way of that meeting? Children are a vital part of the Body of Christ right now, as they are, not for what they might become. I’ve heard many people say that “Children are the future of the church.” I understand the sentiment, but I vehemently disagree. Children are the right now of the church. They are the church just as much as anyone else. If we only value children for what they might become, or who they might bring with them (get the kids, and the parents follow), then we are not valuing children. I want to be a pastor of a church that values real kids, not just the idea of kids. I want a church that loves kids who are loud at the wrong time, who don’t sit still, who make messes when they eat, and ask rude questions sometimes. Does this mean we don’t provide guidance, or boundaries, or expect good behavior? Of course not. It means that we love them as they are, and try to model for them behavior that is life-giving. We don’t chastise or shame them. We embrace them for all of their kid-ness. Children are a vital part of the body of Christ, and I do not believe in treating them as anything less. First, let me say I agree with you in general. Good post. However, if your intention is to “teach as we go,” why don’t you say, “this is the body and blood of Christ,” to children? Isn’t that all they/we need to really know and begin to understand (re 1 Cor 11:29)? Why not introduce them to that idea? Why obfuscate it into some generalized statement about God’s love? I am okay with introducing them to the idea, but I don’t think that the moment at the railing is the best time to do it. There is no chance for discussion, questions, or feedback. One of the most cherished memories of being a children’s minister I have so far is serving communion to a 7-8 year-old. As she dipped the bread in the juice and put it in her mouth, some juice ran down her arm. Being uninhibited as kids are, she licked it off, as though she wanted to get as much of Jesus as possible. It was a beautiful sight. God met me in that moment, just as He met her. I wholeheartedly agree with you. The church I went to as a teenager refused communion to children but then handed out chunks of leftover bread to them afterwards. The result was children paid no attention to what was happening, viewing the bread as nothing more than their snacktime for later. The church I went to at university didn’t allow children to be in church at all for communion except once a year when the Sunday school would file back in to sit apart from their families in the front pew and watch the adults partake. As a result they had little comprehension of communion other than that they weren’t welcome to share it. My parents would always share their own communion bread with us, even when we were too young to go up to the rail ourselves. It made us feel welcome as part of the church family and we learned through them what communion means and just how special and important it is. I would always serve children if their parents agreed. While I understand your thinking in this, I will share where I am coming from. My children love the idea of driving some day, so I allow them to sit behind the wheel with me in the driveway and teach them about what different parts do. I let them hold the steering wheel, honk the horn, turn on the wiper blades etc. etc. but they don’t drive yet. I want them to value the power they will once be allowed to be a part of. Do I fully understand whats going on with every portion of the car as I am driving it? No. Do I have enough of an understanding to respect what is going on and if I abuse this relationship the results from it? Yes. When we take communion, I allow my kids to hold the plates in which the communion rests in. I ask them what they believe this beautiful meal represents and try to fill in the gaps in places that I know about. Do I believe there is a perfect age in which they are now ready? No. I don’t believe that about marriage either. There is no magic number. There is however an understanding of what I am committing to participate in in this relationship. I don’t fully understand it in my own marriage relationship sometimes but before I participated in this covenant relationship, I need to value the powerful beauty of God’s love at work. That being said, I do not believe there is anything wrong with serving my children communion. I just want to ease my children in to this table the way we did with them transitioning from baby foods to solid foods. I only do this so they can value whats coming for them. I think Jesus does the same for me. He gives me a taste of whats to come but oh how much bigger and better it will be. Anticipation is not a bad thing. I appreciate your comment, and your thoughtfulness. I invite everyone to enter into that sort of conversation with what is going on at Communion. Thanks so much, I’m guessing you’re raising very thoughtful kids, and avoiding many of the pitfalls I wrote about. Agree wholeheartedly that children should partake and none of us understands what is going on. Good thoughts. In the Disciples of Christ congregations I have served, I believe our primary understanding of communion is as an enactment of Jesus’ practice of radically open table-sharing. With that in mind, all people of all ages and levels of belief (or not belief at all) are welcome at the table. When it comes to children in particular, we leave it up to parents to decide what they think is best for the own kids, but they understand that the table is open to all. You. Are. Awesome. 🙂 Oh how i wish all churches treated children this way! Talk it through with your own kids and feed them. As pastors, my husband and I have always offered communion to our church’s children, and they make partake or be blessed, however they and their parents wish. When we attended another church with some family, there was an invitation to communion – for adults (and older teens) only. This was communicated in some kind and nonthreatening way, but later my 7 year old daughter was in tears – But I’m a Christian (she said believer, our word) too! And this is the way that all Christians remember Jesus! We had emphasized that even though this church was different than ours, we’re all part of the same body, and she felt keenly that she was, suddenly, not. She wasn’t gunning for snacktime, she was participating in an act that she felt helped her remember Christ’s sacrifice (for her, his love and care) and unite her to His body (reinforce her belonging to the group of believers that make Christ’s sacrifice their central tenant and pattern their lives after the same ). This seems to be roughly the level of understanding that we could expect from a new adult believer taking communion, and as you say we rarely stop them for a theological exam. I love the spirit of inclusiveness exhibited in this post and in your theology. Thank you for writing. Some of my most holy moments have come while sharing Communion with my children. This past Christmas Eve, one of our pastors knelt down and told my four year old how much Jesus loves her. Carly smiles, ate her juice soaked bread, and said, “Amen!” Don’t tell me she doesn’t get it! She gets that God loves her and the Church loves her. Isn’t that the foundation? We can teach her the great Mysteries of the Faith as she gets older, but what does it all really mean without the foundation? I’ve so enjoy reading about kids and communion i’d like to learn more.thanks for the lecture. I am in100 percent agreement with you. Very well said.We are in the now, the present. We should train and teach like there is no tomorrow. Who said that tomorrow is promised to me or my child. The earlier we get this into them the better we and the children will be. Shall I share what my four year old said after taking communion this past Sunday? Me: what did we do in church today? My son: we had bread and kid wine! Me: why did we do that? My son: well, let me tell you a story…on a dark dark night in the garden Jesus was with his friends, but soldiers came and gave him to the Romans. They crucified him and he died. His friends were sad. On the third day all the Marys’ went to visit his tomb and BOOM an angel rolled away the stone. He told them that Jesus was not there…(whispering)…he was alive! Then Mary Magdalene (or maybe the “other” Mary) met Jesus. He said do not be afraid, but it was to late! She already was afraid! But then she realized that it was her friend Jesus, and she hugged him so tight she never wanted to let him go! He said Mary! You have to let me go and tell all my other friends I am alive! And you know what Mama, she did! And you know what else? I think Jesus made himself disappear with his God powers so the angel didn’t have to move the stone twice. And then Jesus became KING GOD! =) Thanks for the good read. I Cor. 11:27-34 lays a pretty heavy warning to us about partaking of communion. I’ve seen a service dedicated to teaching children about this act of worship (kids on stage with the pastor with the adults “listening” and probably learning also!). That setting was appropriate. But as a general rule of thumb, I would limit it to individuals who have a sufficient level of spiritual maturity to participate with understanding. While the parents are usually best equipped to know that in their own child, in today’s society it may fall to the church leadership to set arbitrary limits. But the warnings about improperly partaking are too great to simply open it up. I believe the car driving analogy is appropriate. Communion is one of my favorite things about worship. It is a ritual ripe with meaning and power. People ask me sometimes about Communion and children. I have been giving my daughters Communion since they could take solid food. Some wonder if their kids are allowed to take Communion, so I offer this as my answer. As far as I’m concerned, children are always welcome at the table. My 5 year old granddaughter received communion and when we got home, while eating lunch she asked, “Grandma, is Jesus’ blood still inside me?” I said yes, and then in good Lutheran fashion asked “What does that mean?” Without a beat, she replied, “If my little brother gets hurt, and I give him a hug, it’s like Jesus giving him a hug!” And they say children don’t understand! I was in a communion service one time in a Baptist church where the boy behind me wanted to take communion and his grandmother wouldn’t let him until he became a member (which meant being baptized by immersion after making a public profession of faith), although the church as a whole would have allowed it and encouraged it because it is a church that practices open table communion. Sorry, but baptism has nothing to do with it. Neither does confirmation or confession to a priest or any other sacrament or rite of initiation. A public profession of faith does precede communion, and both communion and profession of faith knows no age limits or any other requirements to it. It made me think of my own upbringing in a church where, at the time, I wasn’t allowed to take communion until my confirmation. The rules have now changed in the denomination I grew up in and it allows kids to take it before baptism or confirmation as long as they are (or even if they are just starting to) understand what it is about and do believe in Jesus as their savior. None of us may completely understand communion, but we are to become like little children to enter God’s kingdom. Grateful my current congregation allows it, too, as do many churches do who have open communion. I wanted to turn around in my seat and tell the grandmother how horrible she sounded and that she could potentially turn off her grandson for good from church for such silly “requirements” on her part that didn’t even exist in that particular church. You know those images that you’ve got that you know will stay with you till your last breath? Well one of mine is kneeling at the rail about 15 years ago, my young children either side of me, and looking along at the children and adults together receiving communion. It was the first time it had happened in that church – I think the first time anywhere in our Diocese – and I know that God blessed that shared meal. The experience of rejection and exclusion can be utterly devastating, and it’s felt by God, too. Thanks for your post. It really encouraged me. 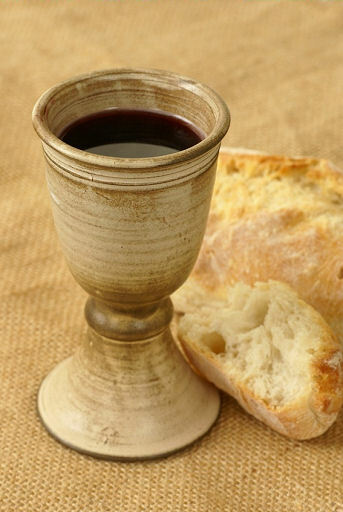 This Sunday, It is my turn to teach and I am teaching about remembering Jesus through communion. The message is about the last supper and I was wondering last night if I should take communion with the kids. Yesterday, I took communion in the service and it was so refreshing. Your post also reminds me of a book I read by Judah smith where he wrote: We first belonged before we ever believed. I believe that we can allow the children to partake in communion so that is what I’ll be doing this Sunday. Your post touched me in many ways but the main reason was because when I was a kid, I didn’t feel like I “Counted”, but you saying that the kids are just a part of the body of Christ as any adult is such a freeing notion. I always wanted to demonstrate to the children that their decision to follow Jesus now counts but it was never a priority. But now, I am determined to make it one of my priorities when I teach these children. I will also share this post with my team. Thanks again for the post. I appreciate this write up about including our children in Holy Communion. In fact, Jesus loves children, He did not also specify who and who to take, He said we should take in remembrance of how much He loved us all and what His blood means. Blood and Flesh of Jesus is Life… Children are heritage of God, they are meant to partake in the it, to receive the life and ability of Jesus early and this is done through the Holy Communion. it goes a long way in their spiritual upbringing. I support it well. I read these comments at the eve when i was planning to share the first communion at our church as the pastor of the Church. I really think all the comments were well thought of and I want to thank everyone for contributing. Even though you would want to say that because of Apostle Paul’s warning about the danger of taking communion without examination children shouldn’t be allow to partake in communion, you would on the other hand want to also believe that this warning never said that children are eliminated from the table, instead the warning could be interpreted as…adults who have knowledge, examine yourselves, and young children who have knowledge, examine yourselves too, while children who are very young and cannot reason (1 year old) should come to the table under the responsibility of their parents. Do you remember Matthew 14: 19? Adults have always tried to exclude children from certain aspects of the church, but Jesus said no! let them come to me, for such is the Kingdom of God. Little children by the fact that their minds are not yet developed to know sin are considered an example of what the Kingdom of God is. And if these little ones belong to the kingdom, why exclude them from the most precious table of the Kingdom? I think greater care and questioning should be directed to teenagers and young adults who can now make a public confession of their faith and are clearly responsible of understanding good and evil. In conclusion, I will gladly welcome the kids to the table tomorrow, and parents will be responsible to bring them, and I will also ensure that before adults take it, they must examine themselves and confess their sins. It is a family meal and everyone in the family is welcome, except those who deliberately decide not to allow Christ purge their hearts and make them come to the table with love, joy, peace, and hope for victory. But..is it Biblical? It’s not about our feelings or their feelings. It seems like we’re afraid to let children know their place..some things are for when they are older & understand..& in the case of communion..when they, or any person has been ‘born again’ & can proclaim Jesus death till He comes. When they fully know what His blood has accomplished for them! I didn’t read any scripture ref.this article had for why it is acceptable for ‘them to partake. What about the part of scripture that says about ‘discerning the Lords body’s.. that we not ‘drinking judgment’ on ourselves. Yvonne, Do you want to trade Bible verses? Cause I may throw out “Let the children come to me,” or maybe just “God is love.” I wrote this to tell you why I do, not to give reasons why not to. If you find it helpful, great. If not, sorry I wasted your time. But I think I have a different understanding of the verse you point to.